Staying at Hotel Ravesi means visiting an important portion of the history of the island of Salina. 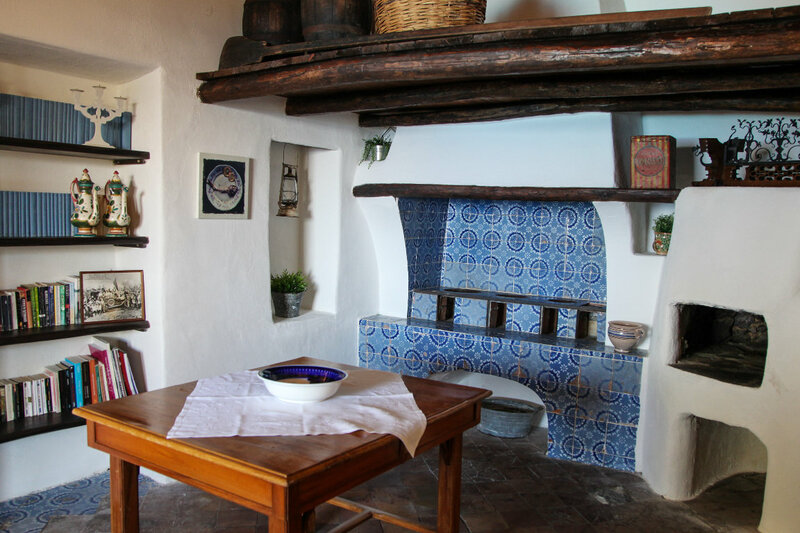 In fact, the hotel is the result of the accurate restoration of a group of ancient houses owned by the Ravesi family. Every ambiance here carries inside the echo of ancient places:example, the bar of the hotel is made out of an ancient “palmento”, usedin the past for the production of wine and malvasia wine. 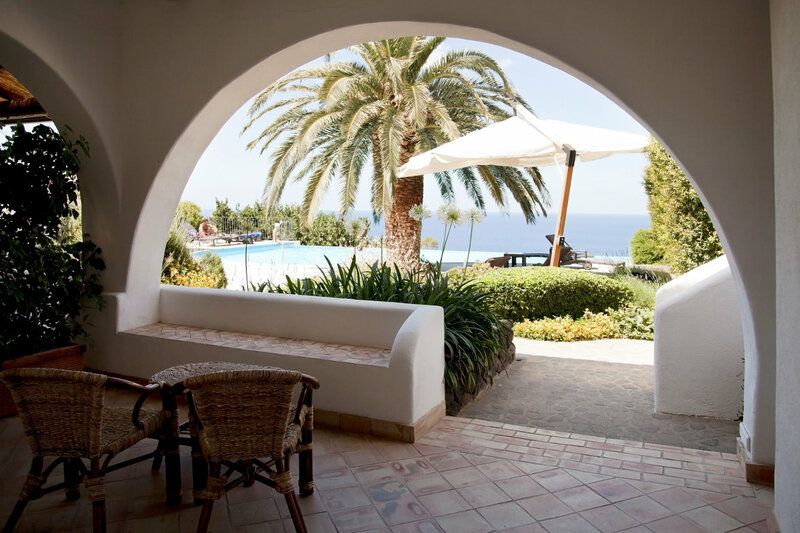 The rooms are furnished with a sober and elegant taste, in the wise respect of the tradition of the island of Salina. 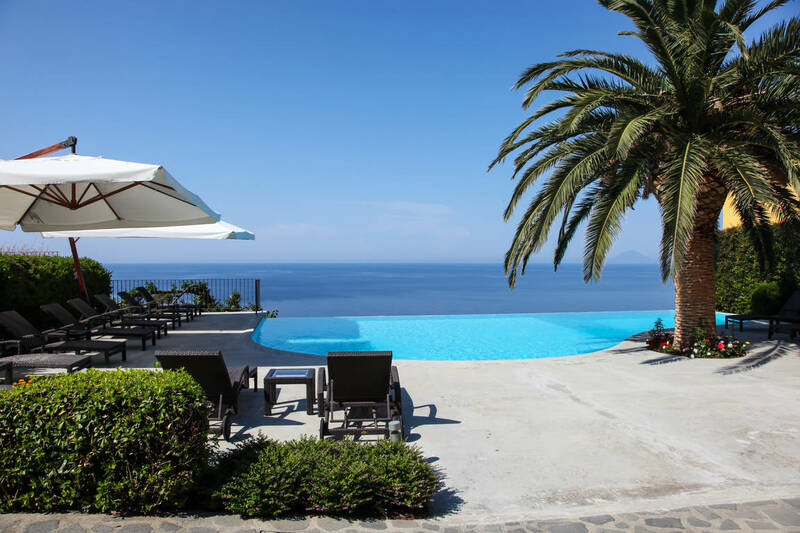 From the large infinity pool, you can admire the most evocative scenery of the island: a hilly terrace overlooking the two lava giants emerged from the sea, Panarea and Stromboli islands. 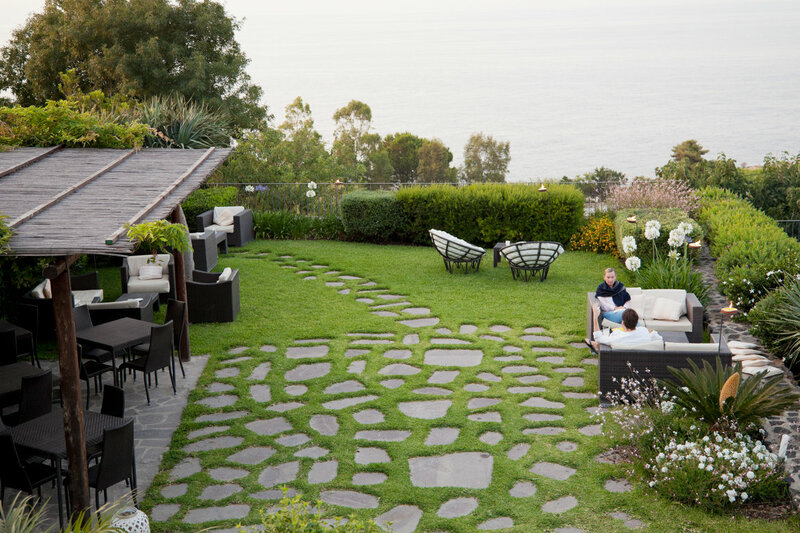 Immersed in the greenery of its gardens, within a short distance from the sea and the essential services, the entire structure isa quiet and peaceful place. Hotel Ravesi operates in full respect of the environment, in fact it is certified Ecolabel and uses biologic and zero km products for the preparation of breakfast, light lunch and aperitif. 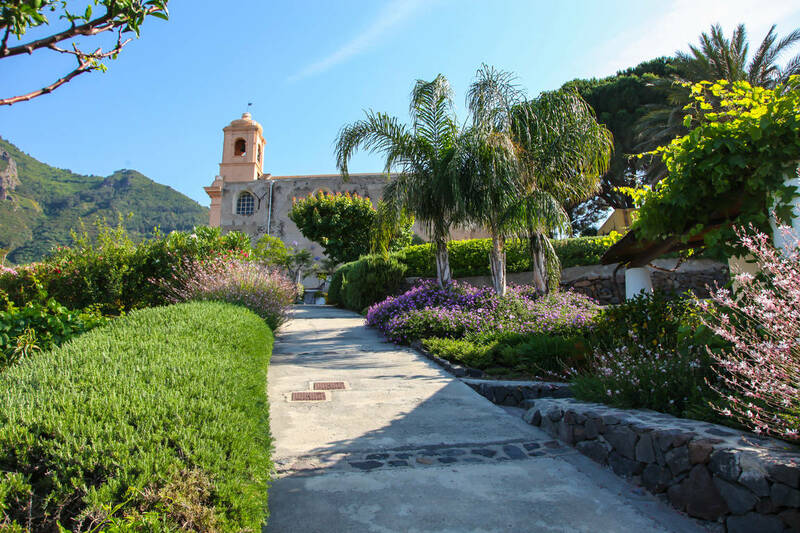 The property is located in a privileged position, it is only a few meters from shops, post office, bar, restaurant, bank, 10 minutes from the small port and the beach of Punta Scario; placed next to the Immaculate church is directly connected to the Immaculate square, through the private garden. 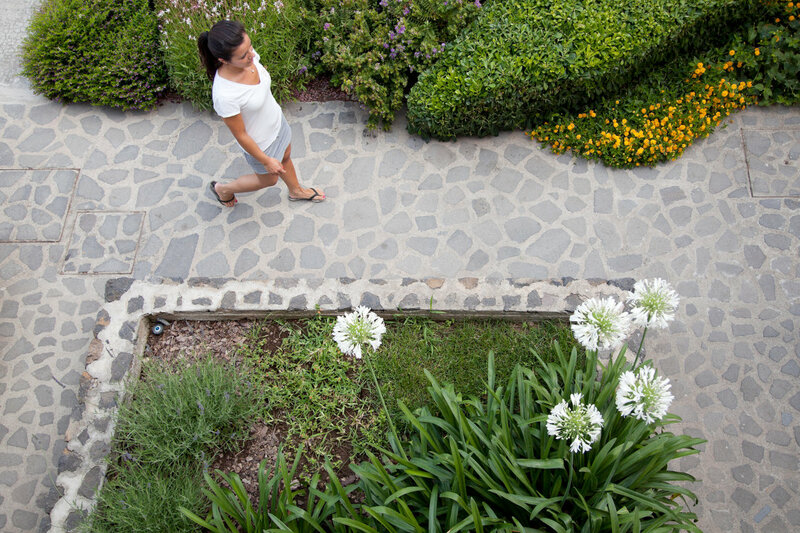 At the Hotel Ravesi nature and culture coexist in symbiosis: perfect alchemy for an exclusive relaxing holiday. 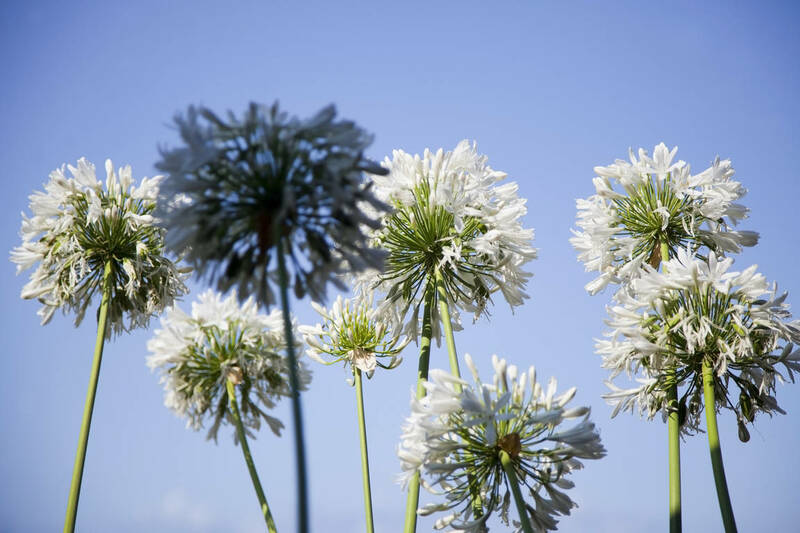 In Salina it is nature that paints everything, but the wayof welcoming and taking care of the guests is a privilege of the Ravesi family and its collaborators. We begin to take care of you even before your arrival: organizing, for example, the transfer from the airports to the port of departure for the Aeolian Islands, as well as the transfer by ferry or hydrofoil and then to the Hotel. We strive to fulfill every request for information to allow you to fully enjoy your holiday in Salina: excursions, food and wine tours, car and scooter rental, boats or bicycles rental, fishing trips, visits to the island's wine cellars or farms that produce and work capers. In every circumstance you can count on our discreet and elegant assistance and you will find a warm and familiar but never intrusive atmosphere.